Connaught Place has a rare privilege of having it all – locational, political and cultural advantages. These advantages lend themselves well to the circular market being a hot spot for attracting food and people from across the city, country and world. 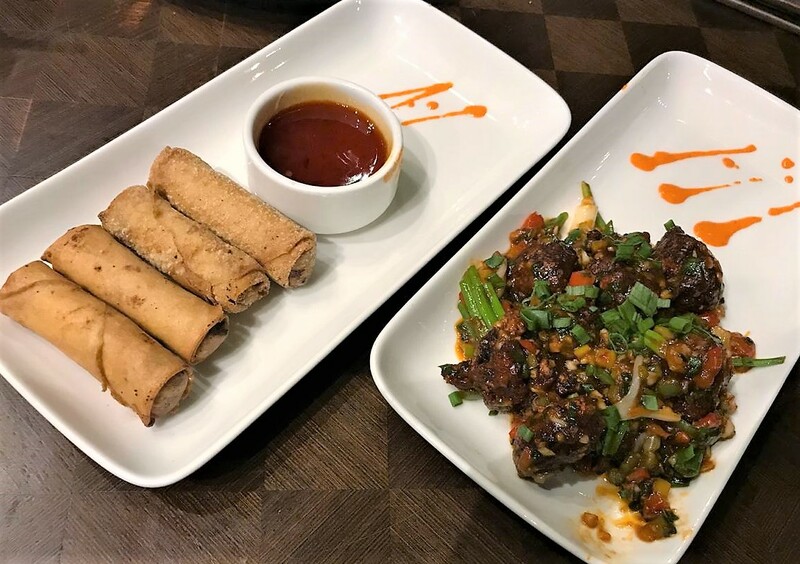 Imperial Spice is a fun new entrant to this historic market with its eclectic menu, warm lighting and obliging staff. We started our meal with an amuse bouche – a tiny Masala Papad cone, which served its purpose of appetising us for the meal ahead. 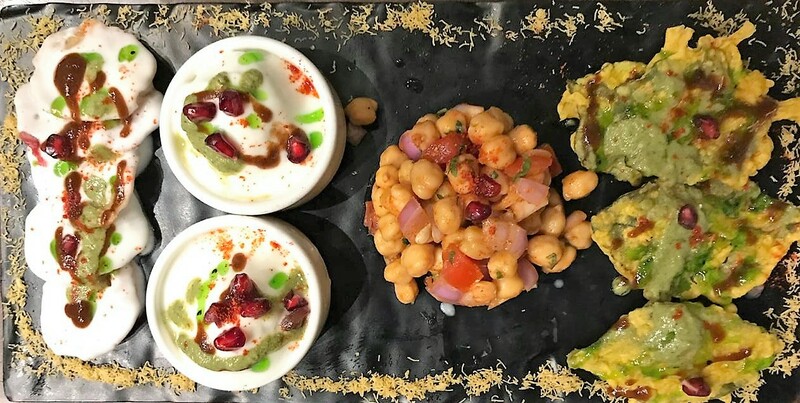 This was followed up by their signature starter – Black Stone Chaat – a platter of tangy and delicious preparations including Palak Patta Chaat, Chukandari Chenna Bhalla and Aaloo Chana. Next came the Imperial Gin Chicken and the Twice Cooked Duck Spring Rolls. Being a proponent of duck and spring rolls separately, I had never had them together. They were juicy with a sweet tinge on the inside. The dish went well with the chicken which was spicy and soft. 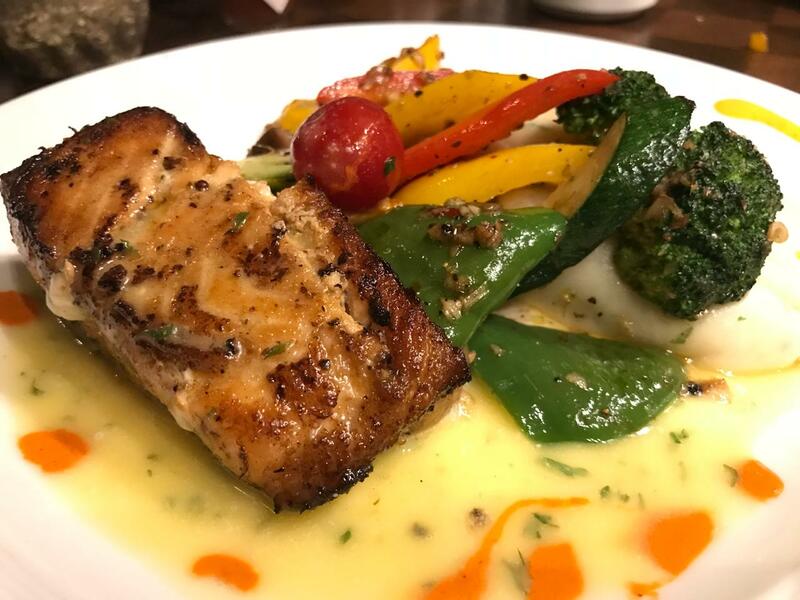 Our mains included Spaghetti Alfredo with Grilled Chicken and Broccoli and the Pan Seared Norwegian Salmon Served with Pepperonata And Olive Caper Buerre Blanc. The Norwegian salmon was pink and buttery, complemented well by the veggies. One of the more fascinating dishes on the menu was the Lehsun ki Kheer. It takes a fair amount of courage to try something so out of the ordinary as garlic in a sweet preparation. But it somehow worked. With a sprinkling of dry fruits, it would be perfect. Other such different pairings of sweet treats in the menu would be worth giving a shot in the future. Anjora cannot resist a good prawn preparation, finds home in Chinese food anywhere in the world but will eat almost anything if it looks appealing. She is a Potter head and has recently discovered pottery as a hobby (excuse the pun).